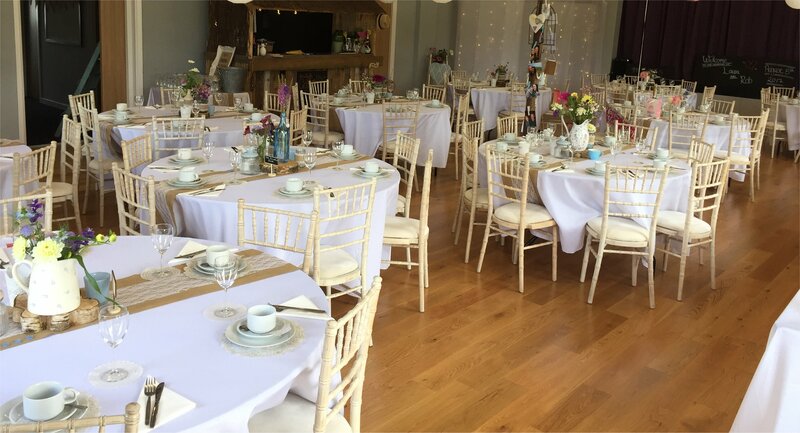 This recently completely renovated hall which is handy for access from Preston, Lancaster and Blackpool has a fully equipped kitchen including a commercial dishwasher, a large room with bar, stage, sound system and seating for 150 and a small room seating 40. maximum occupancy 200. There are modern ladies and gents toilets, a disabled toilet and a separate cloakroom. Outside is a large, well-lit tarmacced car park. The facilities are very suitable for all organisations, clubs and for training, parties, plays, dancing, wedding receptions, funeral teas and caravan/motor caravan rallies. To view/hire please go to the Hall Hire section then phone or email us here.